Cragwood Country House Hotel Small HotelNestled on the shores of England’s longest and most beautiful lake you will find Cragwood Country House Hotel. Set in its own secluded, twenty-acre estate of beautiful landscaped gardens and woodland and with stunning views overlooking Lake Windermere, it’s hard to resist a relaxing Lake District break at Cragwood. As soon as you step through the front door of this beautiful country house, you’ll discover an oasis of comfort, warmth and relaxation. The informal and friendly service is so good you’ll hardly notice it. It’s our job to make you feel at home…which isn’t hard once you sit back and unwind in one of our cosy lounges or drawing rooms and take in the spectacular lake views over a freshly brewed coffee or maybe a glass of chilled wine. 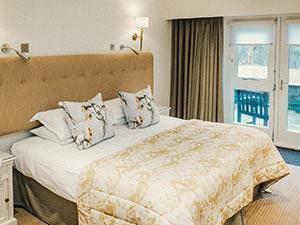 From the mouth-watering food and drink to the stylish and comfy bedrooms, a short break at Cragwood will leave you feeling pampered, stress-free….and wanting more. 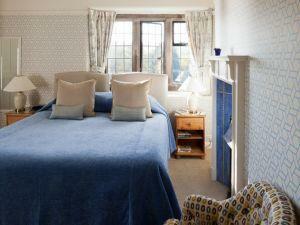 If you are looking for the perfect Lake District hotel then look no further...you have just found us! Bed may be double or twin. ONE of these rooms is designated disabled room with wet-room shower facilities. It MUST be booked direct with the hotel otherwise cannot be guaranteed. At the mini-roundabout on the edge of Windermere, keep going ahead and follow signs for Ambleside. Approx 2 miles further on you will come across our driveway on the left, immediately before the Brockhole visitor centre. at this point start slowing down and indicating right. You will come across our entrance on the right immediately after the Brockhole entrance. 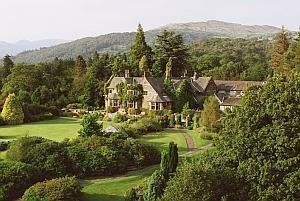 I booked this hotel as part of my mums 60th birthday present and she loved it. It is in a beautiful location which provides views of lake Windermere from the grounds, however the walking around the grounds near to the lake is limited. I requested a lake view room with flowers and champagne, all were great, except I didn’t feel the room was a proper ‘lake view’ as you saw more of the roof from the adjacent building (it was still beautiful nonetheless). We stayed at the hotel for dinner the first night and I cannot remember the last time I had food that tasted that good. Everything melted in your mouth and it was worth every penny. I have to give a huge shout out to the staff. They were absolutely amazing. So helpful, kind and generous. They really made us feel welcome. Thank you.